After her mum died, every day was the same for Penny. It was busy, busy, busy: her little brothers and sisters always seemed to be needing something or other. When her dad got sick, too, poor Penny felt like the last ray of sunlight had winked out. Shivering and scared, she made her way on a chilly April day to the place her mother was buried. Tears came without asking. “Oh, mama, what can I do?” she sobbed. Feeling a touch on her arm, Penny rubbed her eyes and looked up. 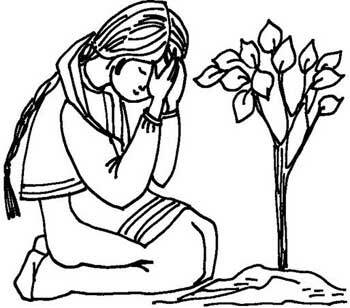 On the spot of earth where her tears had fallen stood a young tree. It had round, leathery leaves and little white flowers, and the stubby branches reached out as if to comfort her. Penny visited whenever she could. Before long the flowers were gone, and the tree was hung instead with tiny fruit that looked like little green bells. When June came the there were more white flowers, then more little bells. Penny waited, and watched. Day after day she would plunk herself wearily down on the soft ground and tell the tree about how dad had smiled his sad smile that morning, or how little Toby had cut his finger. 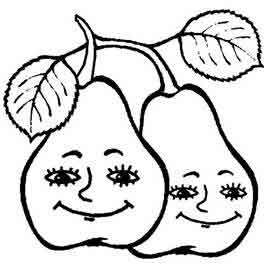 The tree never answered, but each time she came the fruit seemed just a bit bigger. On the very hottest day of the year the tree blossomed white for a third time. Soon the warm caress of the summer sun had turned the first batch of fruit a rich golden colour. “Who said that?” she asked, but there was no answer. Carefully she pulled one of the golden bells from its branch. Soft and juicy, it melted in her mouth. Penny ran to fetch a basket, filled it to the top and hurried back home. When a month later the second crop was ripe, the bells were smaller but sweeter, and their round cheeks blushed with just a hint of red. The fruit from the last crop was tiny, and hung in bunches like grapes. Big as Penny's family was, there always seemed to be enough to go around. Sometimes she would stew the fruit, and she noticed that her dad seemed to cough less afterwards. 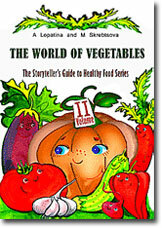 Read the whole story about PEAR - purchase mini-book 'Apples and Pears' in PDF. BONUS: writers' signature is available per request.